Donella Pereia provides administrative support for the Victorian Tuberculosis Program. 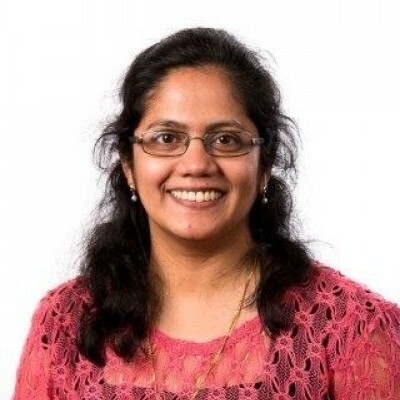 After completing her Bachelor degree in Physics and a post graduate diploma in Business Management in India, Donella moved to Canada where she worked as an Electronic Content Management Coordinator for the Tuberculosis Program at the Regional Municipality of Peel. After 11 years, she decided that it was time for a change of scenery and moved to Australia in 2012. Justin’s group specialises tuberculosis (TB) with an emphasis on latent TB and conducts activities ranging from expansion of theoretical foundations for understanding latency and risk associated with TB infection to socio-cultural engagement with communities at high risk for TB, and development of strategic public health policies towards TB elimination. The group includes researchers with expertise in a range of methodologies, including clinical research, epidemiology, mathematical modelling, ethics and interventional research. We acknowledge the Wurundjeri people of the Kulin Nation as the traditional custodians of the land where our Institute stands. We are committed to collaboration with Aboriginal and Torres Strait Islander communities to reduce the unacceptable burden of infectious disease. We are committed to training the next generation of exceptional Indigenous leaders in infection and immunity.